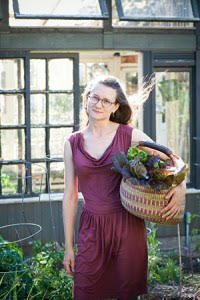 Check out permaculture teacher Marisha Auerbach’s urban homestead and plant sale this Sunday in Southeast Portland. Marisha grows wonderful organic veggie starts, berries, medicinal herbs and more. Find her plant list and information about her garden here. Her partner Zane will give a tour of their lush permaculture garden at 11 am. Resilience Design will be a guest vendor at the sale on Sunday with fruit trees, berry bushes, native plants, seeds and many more multi-functional plants – current availability here. 4816 SE 50th Ave., just north of Raymond St. Thank you everyone who made our plant sale a wonderful day! So much sunshine, so many plants going out into the world to build more pollinator habitat, food forests and happy harvests for dinner time. There are wonderful plants still, check out the catalog here. The list is not updated – but will be soon – there are a number of species available not listed and a few things have sold out. You’re invited! Come tour Mulysa’s garden, enjoy spring refreshments and shop for plants! Check out the Plant and Seed catalog here. Tomato variety listings here. There will be LOTS more at the sale that’s not on the list yet including cutting flower starts and annual veggies from Stemtown Floral. Spring is here! Get the help you need to make it a great garden year. It’s time to plan and plant our gardens and new landscape projects for the year! Whether it’s starting your dream garden, tackling that corner of the yard that’s always been awkward, or upping your edible gardening game, Resilience Design has a lot of ways to offer support and expertise. If you’d like to talk about your ideas, check out my consultation page for how to get started. Consultation can be the first step in the design process or a stand-alone service that provides you with guidance and insight about your property. $100/hr. Travel fees may apply outside the Portland metro area. For DIY clients I include notes on installation as well. Meadowscaping kits to transform your planting strip or part of your yard into easy-care native habitat. Available for DIY or full service installation. Mini-design services by the hour to help with smaller projects. A budget-friendly option for getting planning help with yard layout, problem areas, landscape updates and more. Landscape design coaching program – you create your own yard design through a series of work sessions. A budget-friendly option for who want to learn a lot about their site and experience the permaculture design process. Garden Maintenance – expert help with pruning, perennial care and seasonal tasks to keep your garden healthy and looking its best. Starts at $55/hr. Plants and Seeds – check out our selection of edible and native plants! Available by appointment, order via email or join us for the Resilience Design Open Garden and Plant Sale on Sunday, May 21, 2017 from noon to 6 pm. Thank you for supporting local and women-owned businesses! Douglas aster provides a long season of nectar for a wide variety of pollinators including butterflies, native bees and honey bees. Meadows will soon be in bloom, providing rich habitat and beauty all season long. Did you know that much of the Willamette Valley was once open prairie? The native meadow habitat included annual and perennials flowers like the ones pictured here, plus many species of grasses. In some places white oak woodland merged with the prairie, creating savannah biomes. These rich and diverse environments held many species of pollinators, birds and other animals and were tended and harvested by indigenous people for thousands of years. These habitats are nearly extinct, but you can help them make a comeback by creating a meadow in your yard – be it small or large! Meadows are colorful, diverse, beautiful in every season – and a key way to help out pollinators. Since 40% of the urban area is residential properties, the habitat efforts we make in our yards add up to make a positive impact, especially when we work together to create habitat corridors. Every 19 blocks, on average, parking strips (or ‘planting strips’, or is you’re from the Midwest, ‘boulevards’ or East Coast, ‘tree lawns’ – that space between the street and sidewalk) make up about an acre of underutilized space. That bit of land between the street and sidewalk can be quite productive – offering habitat, filtering runoff, helping sink rain water, sequestering carbon and providing beauty and a sense of regional place. It’s a small way to #resist. Resilience Design is pleased to offer locally native plants, seed and meadowscaping services in the Portland Metro area. Meadowscaping is the practice of creating urban meadows with locally native plants with the intention of providing multiple benefits including pollinator and bird habitat, rainwater infiltration, sinking carbon and other ecological functions – and greening and beautifying our neighborhoods. Summer blooms in Mulysa’s parking strip meadow. Also available, limited quantities of locally native seed by species including Great Northern aster, Douglas aster, Yarrow and Western milkweed. Resilience Design’s urban micro nursery has a selection of native wildflowers for you meadow in 3.5″ pots including meadow foam, yarrow, self-heal, Western milkweed, Oregon sunshine, Douglas aster, California fescue, Roemer’s fescue, plus #1 pots of meadow shrubs including red-twig dogwood, willows and wild rose. For your parking strip or a portion of your yard. Get all the information, seeds and plants to create your own meadow garden, or hire us to create your dream meadow in 1-3 days. The cost depends on the site of your site. DIY – starts at $500 for a small parking strip. Includes an initial consultation, a design and instructions, locally native wildflower and grass seeds and plants and a follow up consultation. Full Service Installation – starts at $850 for a small parking strip. Includes all of the above plus materials and labor to prepare the site and install the meadow. Partnering with Apogee Landscapes. Contact Mulysa to purchase plants and seeds or start the Meadow kit process. The Meadowscaping Handbook A guide to planning, installing and maintaining an urb an meadow. Pollinator Parkways A project in East Portland to ‘Flip the Strip’ and create habitat corridors for “pollinators such as bees, butterflies, moths, hummingbirds, flies, wasps and other amazing fauna like ladybugs, beetles, and worms can thrive.” Check out their how-to guide! Sweat bee on Madia (Tarweed). Backyard Habitat Certification Program A local certification program that offers a wealth of resources to home gardeners wanting to manage invasive weeds, plant natives, go pesticide free, manage stormwater and steward wildlife. I’m excited to co-teach this workshop with Tao Orion, author of Beyond the War on Invasive Species: A Permaculture Approach to Ecosystems Restoration. Learn about the concerns regarding the use of environmental toxins like herbicides in public parks and natural areas with the hope of generating momentum to build critical mass of public support for pesticide-free initiatives. We will discuss the current state of pesticide regulation, and learn how citizens can take action to steward the spaces where we, our children, and our pets access nature in our neighborhoods. One Day, $55 || Space is limited. Mulysa Melco is a landscape designer and horticulturist in Portland, OR. Through Resilience Design, her sustainable landscape design and consultation studio, she facilitates urban and rural site design and ecological restoration projects. These ‘homesteads and habitats’ are multifunctional spaces that aim to foster reconnection between people and our ecosystems. 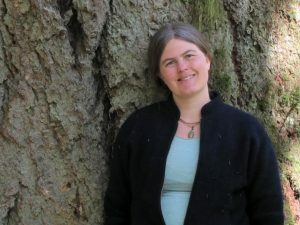 She teaches workshops on botany, permaculture and ecological living skills. Mulysa has a BFA from the Minneapolis College of Art and Design and a Master of Agriculture in Horticulture degree (focusing on landscape design and garden history) from the University of Minnesota – Twin Cities. She interned at the Royal Botanic Gardens Kew in England. In 2014 Mulysa spoke at the National Pesticide Forum about her neighborhood’s campaign to become a pesticide free zone. Take an art break! I’m teaching this workshop through the Portland Underground Graduate School. Saturdays in February, 2/4, 11, 18, 25, from 2 – 4 pm. $100. Observation drawing has a special way of grounding us in the present moment and creating a more spacious sense of time. Focusing on weekly happenings in the local ecosystem world can awaken our knowledge of seasonal cycles. Meet some intriguing and subtle late winter plants of Portland and learn their stories. Using drawing as a way to explore urban flora, slow down to observe the details that make species unique. And learn some botany terminology and ecology along the way! Use simple tools—pencil, ink, and paper—to explore the beauty of the nature all around us in midwinter. You’ll leave with a series of works that are a record of your curiosity and observations. Details and registration at Portland Underground Graduate School. I’m excited to announce this course I will be teaching with Tomi Hazel in May in the botanical wonderland of the Siskiyous! Registration is now open. Please be in touch with any questions. Siskiyou Permaculture is offering its first botany course, a 6-day field intensive designed to a be an essential part of training for stewards of earth repair, practitioners of Social Forestry or simply an opportunity to delve into the world of plants. Taking a wholistic perspective, we will look at plants within their ecological and ethnobotanical contexts, exploring the eco-tones of our laboratory: the Little Applegate valley within the bio-region of the Siskiyous. Through storytelling, drawing, plant walks, discussion and botanical survey of the micro- and macro-patterns on the landscape, we will hone our observation skills, gain fluency in identifying plants, use plant family key recognition characteristics, and build aptitude with analog plant identification resources. In this field immersion we will experience coming into relationship with the plant world with all of our senses. Guided by permaculture ethics and principles, the universal patterns of life, we aim to cultivate attitudes of respect and reciprocity that can lead us forward as we seek to understand and steer the course of human-plant communities in the future. This course is for anyone interested in plants, permaculture, gardening, landscape design, ecological restoration, horticulture, environmental education, nature mentoring, medicinal herbs, ethnobotany, natural medicine and re-wilding. All levels welcome, some basic plant knowledge helpful. Course info and registration here. I’m excited to be teaching a plant course in September through Portland Underground Grad School. It’s called Decoding Plants: Seeing Urban Flora with New Eyes. If you’ve been wanting to learn plant identification or just sharpen your skills, join us! We’ll be meeting for four fun Saturday mornings, starting each session at Overlook Park in North Portland. We’ll draw plants, go on plant walks in different habitats and learn plant families. My motivation for teaching this course (besides loving all things plant-related) is a desire to help heal the disconnect between people and nature. It seems to me that so much suffering in the world right now is rooted in this disconnection. I believe that our sense of belonging and our ability to feel whole and purposeful are intimately linked to relationship – with ourselves, with others and with the earth. Maybe we all sense, on some level, that we’d be happier if we had a chance to dig in the soil or grow something, or spend time in wilderness. We don’t even need to get out of the city to do those things! This city is full of plants and nature, ready to connect with us. We can learn so much about ecology and about ourselves by slowing down and gaining a closer understanding of the other beings around us, regardless of whether they are considered ‘native’ or ‘invasive’. By understanding, we gain empathy and then compassion, and then we’re closer to feeling that we are indeed part of nature. When we’re working from that place, it seems to me we’re more able to advocate for the health of nature and for our own health, and to work towards a life that is sustainable and fulfilling. When we have a tangible sense of nature’s abundance and regenerative properties, it’s easier to act from a feeling of abundance and generosity instead of the fear of scarcity that drives so much discord. There are a many things that are out of balance in the world right now and I believe healing the earth and healing our culture are intimately connected. So, how does learning plant families relate to all this? Knowing the plants we see helps forge a sense of connection with the places we live and travel, and a feeling of belonging in the world. Seeing plant patterns is an efficient and fun way to start learning lots of plants. (If you’re not familiar with the taxonomic system, you’ll be amazed at how it organizes the nearly 400,000 plant species on Earth into manageable and relatable groups. We’ll just start with 12 families though!) Just like when we meet a new person, when we learn the name of a plant, who their relatives are and what they do and like, we come into relationship and it opens up possibilities. You might find new foods to cook with or use as medicine. You may take new notice of the changing seasons, as you watch plants react to weather and day length. You’ll see more interconnectedness all around as you learn about the many relationships plants have with pollinators and other insects, fungi, birds, and animals– including us! Check out week-by-week summaries of the course at the link below. Hope to see you there! Meets at Overlook Park Picnic Shelter || 1599 N Fremont St.
Four weeks, $100 || Space is limited to 20 students. Summer Plant and Seed Clearance Sale! Friday, July 1, 3-6 pm only. Limited quantities, 50% off regular prices. 5523 N. Detroit Ave. Portland OR, 97217. I’m clearing out my little nursery for the summer! Snap up some wonderful plants at wholesale prices, this Friday evening only. Limited quantities. All organically grown. Fruit trees, berry bushes, perennial vegetables, herbs, flowers for pollinators and beneficial insects. Seeds all 50% off. Great germination rates, packed for 2015 and 2016. Veggies, flowers, natives and herbs and eco-lawn seed. Including unusual greens like amaranth, corn mache and salad burnet.